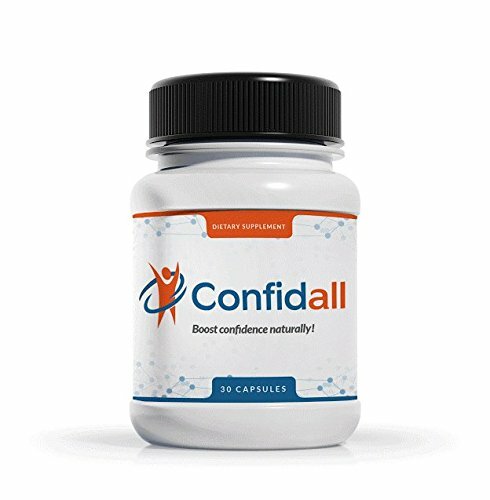 Confidall is the only name in confidence enhancement. By taking Confidall daily, you can alleviate your anxiety and perform like the person you have always wanted to be. Although many people do not like to admit their faults and flaws, most would agree that everybody experiences times when they could use more confidence, some more than others. If you are one of the many people who feel stress and anxiety, then Confidall is right for you. By taking Confidall daily, you will immediately feel the effects of our all natural proprietary blend, including GABA, 5HTP, and L-Theanine. This proven blend is designed exclusively to not only enhance your confidence, but also to alleviate stress and anxiety. You will feel more calm, positive, focused, and have a better mood. These scientifically proven, all natural ingredients are safe, effective, and healthy, not just for your body, but for your mind. By starting Confidall today, you can look forward to more success at your job, in your personal life, and in general. Taking Confidall can help you in so many ways: feel more confident in any situation, never feel awkward or nervous, be free from all anxiety, worry and doubt! BOOST CONFIDENCE NATURALLY - Our powerful supplement, a unique blend of GABA, 5HTP, L-Theanine, and Acetyl L-Carnitine, helps you stay cool, calm, and collected when you need it most-from dating, working, and socializing to job hunting, public speaking, and everything in between. Reduce anxiety and stress! Feel more confident, positive, focused, and relaxed, whether at home, the office, or in a social setting. Improve your mood; be more calm, focused, and positive! Relax! Confidall's got you! Premium supplement contains all natural, safe ingredients like GABA, 5HTP, and L-Theanine. If you have any questions about this product by Confidall, contact us by completing and submitting the form below. If you are looking for a specif part number, please include it with your message.